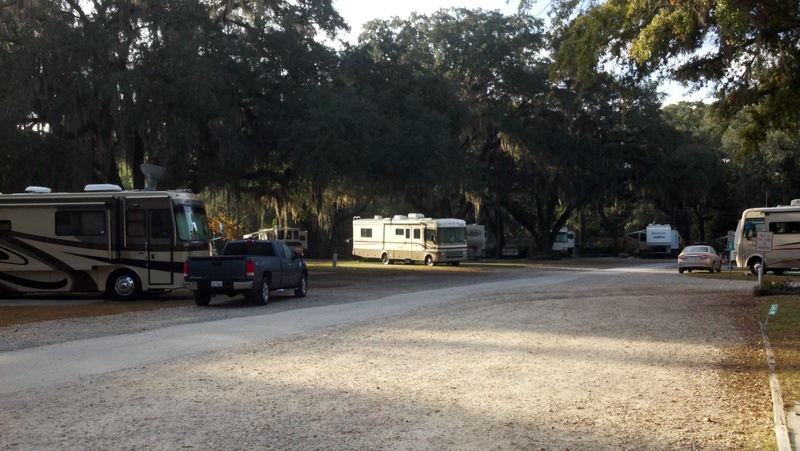 Big Oak RV Park – Tallahassee, FL – RV Cheaper! November 29, 2012 January 8, 2015 RV Cheaper! More than a few big oaks, and they are HUGE!!! This was an unplanned stop, but a very nice one just the same! We were on our way from Bushnell to a scenic drive along US-90 on the Gulf Coast. The service engine soon light had came on, the engine was idling rough at stop lights and I was smelling hot engine coolant. We stopped at an Autozone and I opened the cowl cover to find a leaking heater core. I went in and got a heater hose bypass, more coolant and a screwdriver kit. I made the repair and we were on our way. I plan to find a dealer some where along the way to find out about the warning light. We drove into Tallahassee about 7:00pm, US-90 goes right through the middle of town, some fairly steep hills and short distance between traffic lights. I’m beginning to smell trouble and when I get to the edge of town I pull into a gas station with room for an RV to park out of everyone’s way. I get out and the brakes on the driver side rear are smoking! A local mechanic was gassing up and stopped by and said he thinks the brakes are sticking. 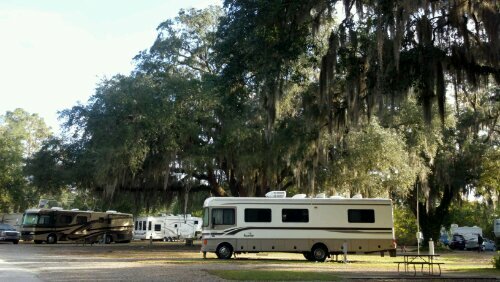 I got his phone number and he recommended the Big Oak RV Park, that turned out to be a great place! The RV Park had a booklet with local information and I found an advertisement for an RV shop close by where we have the entire RV checked out. I went to the park office and talked to the host, she confirmed what the guy at the gas station said on places to avoid and heard good things about the RV shop down the street. 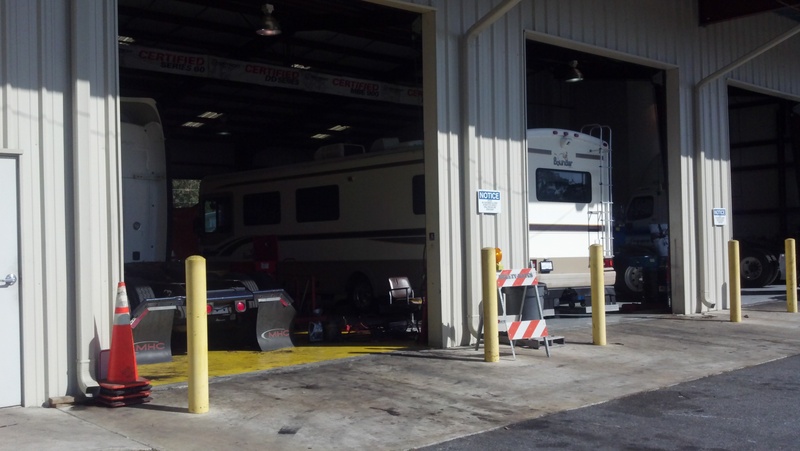 In the morning we went to Four Star Freightliner and they did a complete check. Since they normally service diesels, they would have to order parts. After checking nose to tail, they recommended waiting until we get home since all of the symptoms we have seen were all minor issues. I just needed to avoid stop & go braking like those in hilly downtown Tallahassee. In another shop, this time a full checkup! Those are some big oaks!